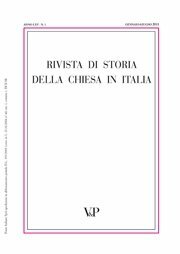 With reference to studies on the role played by women in Italy during the XVI century, this article aims to highlight the educational and spiritual paths of a particular kind of woman: Ludovica Torelli (1499-1569), countess of Guastalla. Young lady born in a small feud in the Po Valley and then energetic founder of the monastery of St Paul and of the College of Guastalla in Milan, Ludovica Torelli embodied a model of women’s life which lied halfway between the walls of monasteries and their own home, an example that found fertile ground in the city of Milan between 1530 and 1569. Used printed and handwritten documents kept in the archives of the College, with particular attention to the unpublished papers of the process, brought against the countess Torelli in 1554 about the validity of her religious profession, and original letters of the countess, only partially published, it was possible to make a first critical and systematical comparison of the different versions of the College’s rules, putting into evidence its evolution during the first years of its activity.